People not only follow a person….but a vision as well. 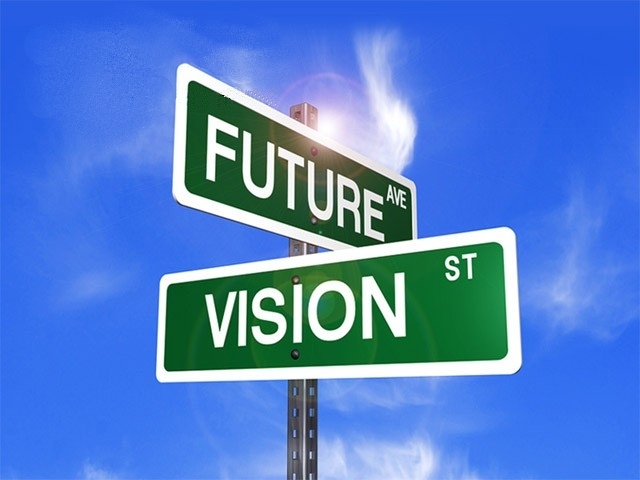 The importance of having a vision is even noted as far back as 1000 BC by King Solomon in his book of Proverbs, “Where there is no vision, the people perish.” (Proverbs 29:18). Visionaries dare to dream. They peer into the future and generate possibilities in their mind’s eye…this is the essence of vision!! The legendary sculptor, Michelangelo claimed that as he looked into the stone, “I saw the angel in the marble and carved until I set him free.” His vision had already created his masterpieces before his hands did the work. On the other hand, we have all witnessed a leader present a magical power point presentation, or company memo, detailing his or her new vision for the organization only to see it slowly fade away. These leaders claim to have a vision, but they can never move themselves or others toward it. As a consequence, their vision sits on the shelf until it spoils, or until someone else takes initiative to claim it. So why does this leader’s vision fail? What makes one leader’s vision powerful and another’s so weak. One word – contagious. In order for one’s vision to be powerful it must be contagious! How do you make your vision contagious? #1: By ensuring your vision is clear, challenging, and relevant. Vision provides clarity, not confusion. As John Maxwell says, “vague visions cannot serve as compelling guides.” Followers do not rally behind a leader’s fuzzy picture of the future. Rather, they are attracted and motivated by leaders who can paint an instantly recognizable portrait of tomorrow. #2: By living it out. The key leaders within the organization must be the first to truly and fully participate in the vision. They have to let others see and feel their personal passion for the vision through their own participation. Simply put…the leader is the steward of the vision he casts. This entry was posted in Leadership and tagged clarity, future, leadership, vision.